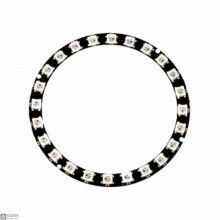 Features:Working voltage: DC 4-7VOuter diameter 44mm Inner diameter 32.6mmPackage Include.. 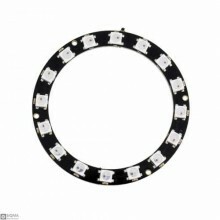 Features:Outer radius 33mm, inner radius 27mmChip: WS2812 LED : 24pcs 5050 RGB Color Highl.. 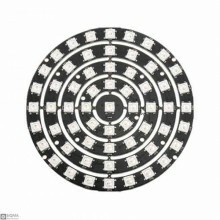 Features:Thereis no need to add any circuit when the transmission distance of any two points is less.. 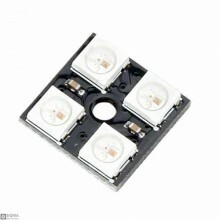 Features:Supports one-to-one input pin (DI -> TUN) by cascading output pinsConstant current drive.. 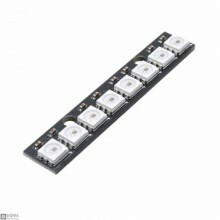 Features:Voltage:DC4-7V Communication interface:Single-wire communication LED Chip:WS2812B.. 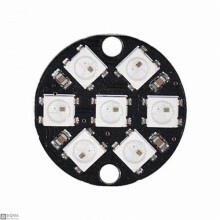 Features:Working voltage: DC 4-7VSize:51x10mmPackage Include:1x 8bit RGB WS2812 LEDs..